In an unexpected move, the Muttahida Qaumi Movement (MQM) on Monday replaced Dr Farooq Sattar with Rashid Godil as the party’s parliamentary leader in the National Assembly. The decision was taken at an emergency meeting held between members of the coordination Committee in Karachi and London. MQM chief Altaf Hussain approved and endorsed the decision. Party leader Wasay Jalil told The Express Tribune that the decision was an organizational one, and is temporary; he said the replacement is intended to provide Sattar some ‘relief’ from his responsibilities within the party. “Apart from being the parliamentary leader in the National Assembly, Farooq Sattar is also handling Coordination Committee affairs as a member, and he is needed here more,” Jalil said. 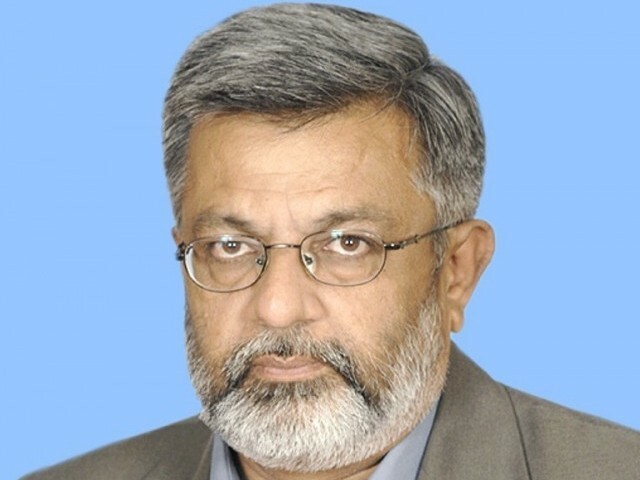 Sattar, the party’s MNA from NA-249, served as the party’s parliamentary leader in the National Assembly after the 2013 elections. In the previous government’s tenure from 2008 to 2013, Sattar also served as the party’s parliamentary leader in the assembly. A senior leader of the party, who was elected mayor of the city when he was only 27, Sattar has represented the party as MNA or MPA since 1988. On the other hand, Godil, who is also member of the Coordination Committee, was serving as the deputy parliamentary leader in the National Assembly. He was first elected as an MNA in 2008 from NA-252. Meanwhile, the party has still not decided who will replace Godil as the deputy parliamentary leader, but Shaikh Salauddin and Asif Hasnain are said to be favourites for the slot. According to party sources, this heralds change in the party’s organizational structure, and in the next few days, the party is expected to undergo more adjustments, especially in the Coordination Committee. High-level huddle agrees Taliban talks should have ‘concise agenda’. A positive change is that more victims report the crime but experts fear number of minors being raped is rising. Aziz conveyed Prime Minister Nawaz Sharif’s message of friendship, brotherhood, harmony and cooperation to Dr Rowhani. Beginning of the end. Farooq bhai is best advised to seek asylum in a foriegn country before some quom ka dushman gets hold of him. As per my info, MQM workers are very unhappy on this decision. BEST DECISION by MQM. Farooq bhai needs rest.